The two main protagonists for an upcoming love story have been announced! Indeed, Issa Rae and LaKeith Stanfield will be starring in ‘The Photograph’, to be directed by Stella Meghie. 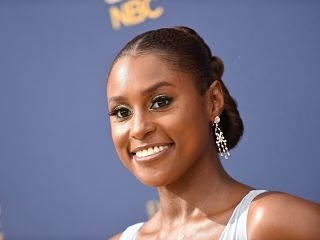 Mostly known for her recent roles on the small screen, Issa Rae has a bigger project in the works. Indeed, she is set to star in a movie called ‘The Photograph’. She will be joined by LaKeith Stanfield, mostly known for having appeared in ‘Atlanta’. Still in its early stages, the flick does not have an official release date yet. Reportedly, the romantic drama ‘The Photograph’ will be focusing on two stories taking place in both the past and the present. The main protagonist of the flick, portrayed by Issa Rae, will be a museum curator who discovers her mother’s old letters which unveil a secret relationship. While trying to figure out what exactly happened, she meets a reporter with whom she falls in love. Having previously partnered up with Issa Rae on an episode of her show ‘Insecure’, Stella Meghie is joining her as an executive producer on ‘The Photograph’. The filmmaker is also penning the screenplay as well as directing. Will Packer as well as Universal’s Sara Scott and Mika Pryce are producing. Additionally, Issa Rae will next be seen on the big screen next month in the comedy ‘Little’. She will also feature in HBO’s ‘Insecure’ as well as ‘The Lovebirds’ with Kumail Nanjiani and Anna Camp.